I am addicted to Sherlock Holmes retellings! I'm ashamed to say that I've never read the real thing, or rather I tried in high school, but found Conan Doyle's style too flat and boring. Then I read Every Breath a while ago and fell in love with the character of Sherlock Holmes. I've read a lot of retellings since then, and, although I'll probably never get tired of this character, it was nice to read a Sherlock retelling from an entirely different angle! Lock and Mori is set in the present days and told from the point of view of Miss James Moriarty. Now, everyone who's a little acquainted with Sherlock Holmes' world knows that Moriarty is supposed to be Sherlock's nemesis (and of course in the original text he is a men), a mind as brilliant as Sherlock, but dedicated to crime. In Lock and Mori, Moriarty is not evil, she's only a girl trying to shield her brothers from an alcoholic father, a girl who makes bad decisions because she feels trapped and thinks she doesn't have any other choice. Throughout the book, Mori's voice was so clear, you couldn't help putting yourself in her shoes. There was never a time when I didn't agree with her decisions because I, too, felt trapped and hopeless. Although in retrospective, she could have done so many things differently. It would be interesting to read this book from Sherlock's point of view, I guess it would be a totally different story! 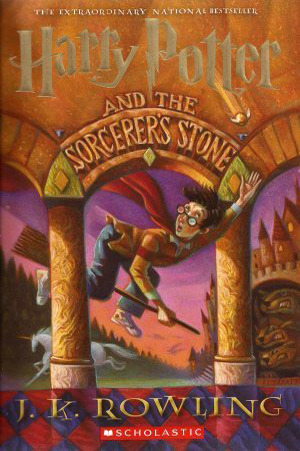 I think the fact that the story is told through Mori is one of the main strenghts of this book. Most of Sherlock retellings tend to fall into the trap of choosing a bland and uninteresting Watson as the main point of view, and as a result, Watson ends up being a two-dimensional character always in awe of Sherlock's methods. For example, I thoroughly enjoyed Jackaby, but the fact that it was told from the point of view of a bland 'Watson' dampened the story a lot. In Petty's book, on the other hand, both Lock and Mori were fleshed out, but Sherlock faded into the background, because Mori was the focal point of the whole story. I enjoyed the romance between Lock and Mori very much, because it remained true to the characters and canon: Sherlock was clueless and awkward, Mori independent and not used to trusting people. I can't wait to know what happens next between these two, but I have a theory that it won't end well between them. I'm also curious about Watson's role in the future books, since for now he seems a really unpleasant person! The mystery was pretty interesting, although I realized who the culprit was early on. I expected a huge plot twist to show me that I was wrong, but it never came. This left me a bit disappointed and it is the reason why I didn't give it 5 stars. However, if I had been Mori, I probably wouldn't have noticed too the small detail that made me realize who the killer was. 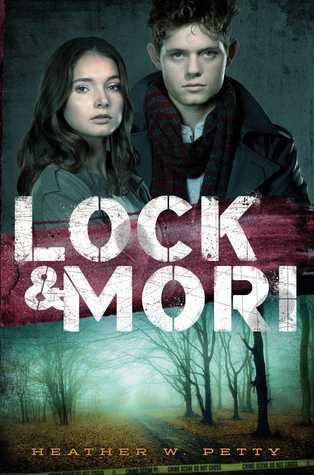 Overall, Lock and Mori is a very enjoyable book for both fans of Sherlock retellings and readers who like thrillers/mysteries. It is a fresh take on the character of Sherlock Holmes and the dynamic between him and Moriarty.